for $1,250,000 with 3 bedrooms and 3 full baths, 1 half bath. 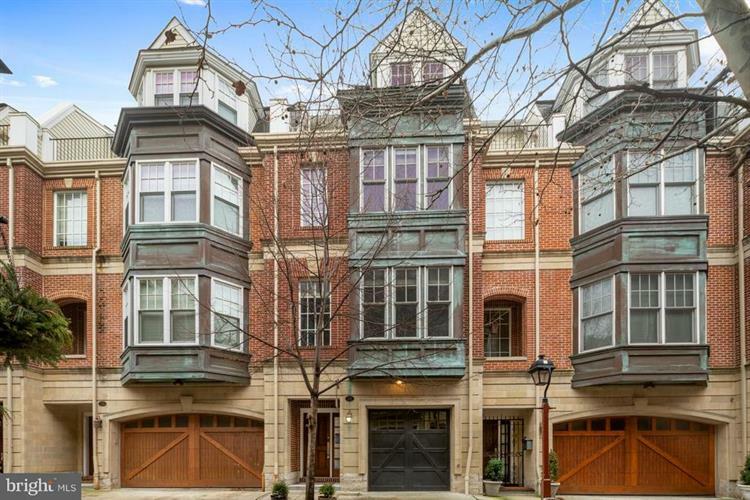 This 2,880 square foot townhouse was built in 2007 on a lot size of 18X54. Society Hill classic home in sparkling condition. This 11 year old home has all of the grace of an historic home without the maintenance. And it has an elevator! The homes on this stunning block are highly desired and rarely offered. There is no other block in the city quite like it. Enter at street level into a spacious entrance hall, passing the powder room to attractive den with a fireplace at the back. Sliding doors open to a small yard. Also a half bath. Upstairs is semi-open floor plan with a gorgeous kitchen and very large dining area and living room. There is a small deck off of the kitchen, just right for grilling or morning coffee. Upstairs are 3-4 bedrooms, (all good size.) 4th bedroom would also make a great home office. Hardwood floors throughout. McCall catchment. You will experience the very best of city living in this gracious home.